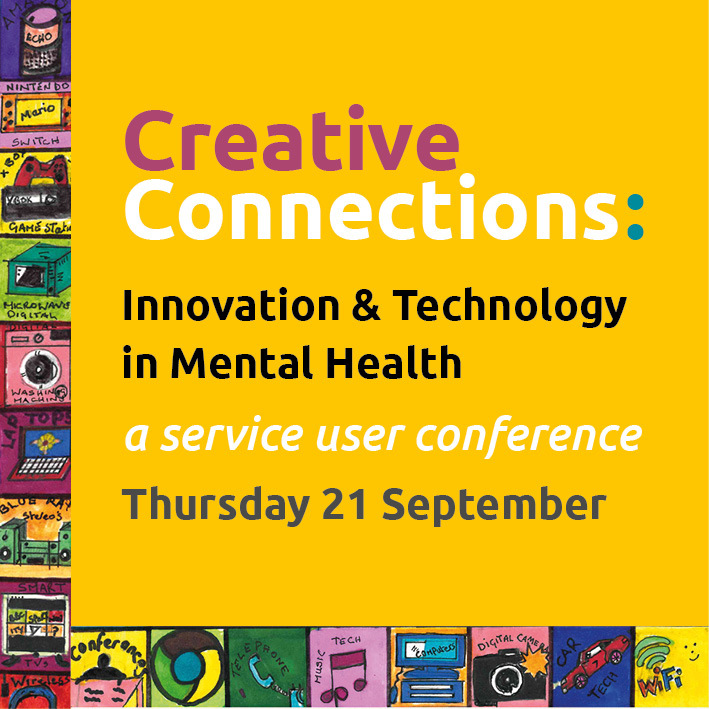 Elysium is pleased to be hosting our first Service User led conference next month on the theme of ‘Innovation and Technology in Mental Health’. At the start of the year a conference planning committee, made up of staff and service users from across Elysium, was set up specifically for this event. The group soon agreed the conference theme and invited all service users to submit artwork to be considered for use in all marketing around the event. The winner of this competition – a service user from Chadwick Lodge hospital – has been awarded a certificate and prize for his masterpiece and it is already being used as key element in all event communication and in the important ‘call for abstracts’ poster. Over 40 abstracts have been submitted by patients and staff from across the majority of Elysium’s hospitals and services and the final programme will soon be announced.